John “Jack” Cotton, Jr. is a lifelong resident of Cape Cod. He’s had a lengthy and highly successful career as a Realtor with unparalleled local knowledge and insight, superior negotiating and marketing skills, and dedication to his clients. In addition, Jack’s inherent honesty, discretion and forthrightness truly set him apart from his peers. Throughout his career, Jack has been dedicated to the belief that ongoing education is vital for his own success as well as the success of his colleagues and profession. With that in mind, he endowed the Cotton Center for Real Estate Studies at Cape Cod Community College in 2006, is the Amazon best-selling author of three books on the subject of selling luxury real estate and is a sought-after speaker at professional conferences nationwide. Jack’s credentials include a college degree from Babson College, multiple professional certifications and numerous continuing education courses. 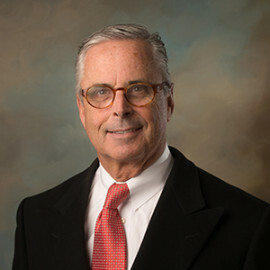 From 1974 when he founded Cotton Real Estate in his college dorm room, to the sale of his company to prestigious Sotheby’s International Realty in 2005, and on to his current position in the upper echelon of Realtors worldwide, Jack has proven himself to be an authority on the purchase and sale of luxury real estate. Jack was elected to the Board of Directors on April 8, 2004. He is Chair of the Technology Committee and also currently serves on the Finance and Loan Committees. He and wife Ann Marie have four children and live in Osterville.